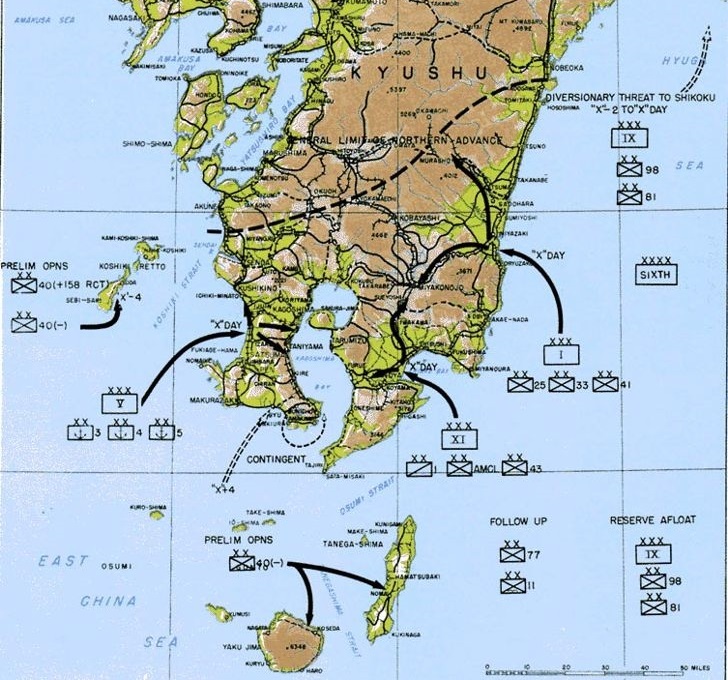 Operation Olympic, the initial invasion of Kyushu, the Southernmost Japanese main home island. 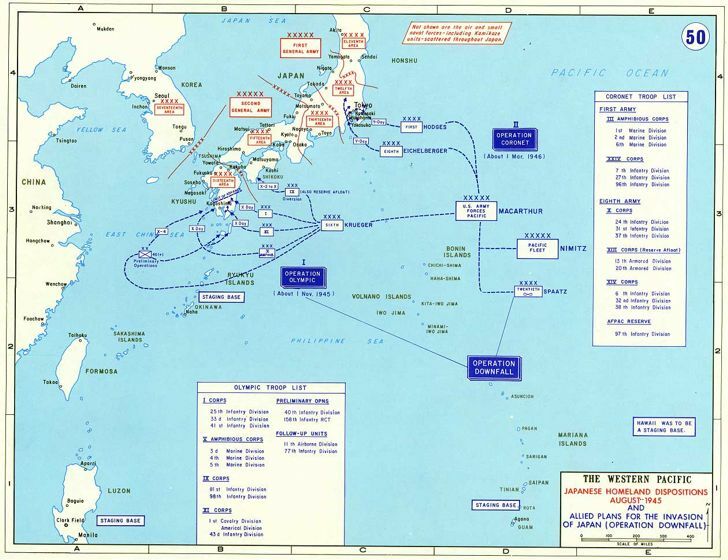 Operation Coronet, which was planned as a follow-up, and scheduled for the Spring of 1946. Operation Coronet would would have been directed at the Kanto plain near the Japanese capital of Tokyo.